We have ways of marketing and promoting your resort market listing that no other real estate company in Big Bear can offer. 1. Your home will be a featured listing on our website, BigBearRealEstate.com. BigBearRealEstate.com ranks (organically) on the first page on Google when home buyers search for “Big Bear Real Estate”. Our website has hundreds of daily visitors and provides unrivaled exposure for our sellers’ listings. 2. Working in partnership with Big Bear Vacations, we target and market your property to buyers who have invested money in a vacation visit to Big Bear and have stayed with us in one of our vacation rental homes. 50,000 – 60,000 guests stay with us every year. Imagine what happens when we reach out to those guests and share with them the wonderful world of resort property ownership in Big Bear Lake and specifically target those who have stayed in a home like yours. Your home has income generation value that no other real estate company in Big Bear can convey better to those interested in investing in a second home. 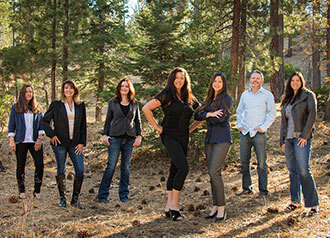 We have an audience for your listing that no other real estate company in Big Bear has. Ask us now how we will custom market your property to Big Bear visitors. The asking price you set for your home significantly affects whether you will profit in the sale, how much you will profit, and how long your home will sit on the market. Your real estate agent’s knowledge of the overall market and what’s selling, or not selling, will be invaluable in helping you determine the price. The objective is to find a price that the market will bear but won’t leave money on the table. Time is not on your side when it comes to real estate. Although many factors influence the outcome, perhaps time is the biggest determinant in whether or not you see a profit and how much you profit. Studies show that the longer a house stays on the market, the less likely it is to sell for the original asking price. Therefore, if your goal is to make money, think about a price that will encourage buyer activity right away (read: fair market value). Because time is of the essence, make it easy for buyers. Remain flexible on when your agent can schedule showings. Also, avoid putting contingencies on the sale. Though a desirable move-in date makes for a smoother transition between homes, it could cause you to lose the sale altogether. Remember the 60-second rule: that’s all the time you have to create a winning first impression. Here are some simple and significant ways to maximize your home’s appeal. Write down all the reasons for selling your home. Ask yourself, “Why do I want to sell and what do I expect to accomplish with the sale?”. For example, a growing family may prompt your need for a larger home, or a job opportunity in another city may necessitate a move. For your goals, write down if you’d like to sell your house within a certain time frame or make a particular profit margin. Work with your real estate agent to map out the best path to achieve your objectives and set a realistic time frame for the sale. Your next objective should be to determine the best possible selling price for your house. Setting a fair asking price from the outset will generate the most activity from other real estate agents and buyers. You will need to take into account the condition of your home, what comparable homes in your neighborhood are selling for, and state of the overall market in your area. It’s often difficult to remain unbiased when putting a price on your home, so your real estate agent’s expertise is invaluable at this step. Your agent will know what comparable homes are selling for in your neighborhood and the average time those homes are sitting on the market. Remember: you’re always better off setting a fair market value price than setting your price too high. Studies show that homes priced higher than 3 percent of their market value take longer to sell. If your home sits on the market for too long, potential buyers may think there is something wrong with the property. Often, when this happens, the seller has to drop the price below market value to compete with newer, reasonably priced listings. Most of us don’t keep our homes in “showroom” condition. We tend to overlook piles of boxes in the garage, broken porch lights, and doors or windows that stick. It’s time to break out of that owner’s mindset and get your house in tip-top shape. The condition of your home will affect how quickly it sells and the price the buyer is willing to offer. First impressions are the most important. Your real estate agent can help you take a fresh look at your home and suggest ways to stage it and make it more appealing to buyers. A home with too much “personality” can be harder to sell. Removing family photos, mementos and personalized décor will help buyers visualize the home as theirs. Make minor repairs and replacements. Small defects, such as a leaky faucet, a torn screen or a worn doormat, can ruin the buyer’s first impression. Clutter is a big no-no when showing your home to potential buyers. Make sure you have removed all knick-knacks from your shelves and cleared all your bathroom and kitchen counters to make every area seem as spacious as possible. Now that you’re ready to sell, your real estate agent will set up a marketing strategy specifically for your home. There are many ways to get the word out, including: internet marketing, yard signs, open houses media advertising, print ads, agent-to-agent referrals, and direct mail marketing campaigns. In addition to listing your home on the MLS, your agent will use a combination of these tactics to bring the most qualified buyers to your home. Your agent should structure the marketing plan so that the first three to six weeks are the busiest. When you receive a written offer from a potential buyer, your real estate agent will first find out whether or not the individual is pre-qualified or pre-approved to buy your home. If so, then you and your agent will review the proposed contract, taking care to understand what is required of both parties to execute the transaction. The contract, though not limited to this list, should include the following: offer price, earnest money deposit amount, down payment amount, financing arrangements, list of costs and who will pay them, inspection rights and contingencies, if any, who will handle the closing, appliances and furnishings included, and closing date. At this point, you have three options: accept the contract as is, accept it with changes (a counteroffer), or reject it. Remember: once both parties have signed a written offer, the document becomes legally binding. If you have any questions or concerns, be certain to address them with your real estate agent right away. Most offers to purchase your home will require some negotiating to come to a win-win agreement. Your real estate agent is well versed on the intricacies of the contracts used in California and will protect your best interest throughout the negotiations. Your agent also knows what each contract clause means and what areas are easiest to negotiate. Some negotiable items include: sale price, financing type, closing costs, repairs, appliances and fixtures, landscaping and move-in date. Once both parties have agreed on the terms of the sale, your agent will prepare a contract. Once you accept an offer to sell your house, you will need to make a list of all the things you and the buyer must do before closing. The property may need to be formally appraised, inspected or repaired. Your real estate agent can spearhead the effort and serve as your advocate when dealing with the buyer’s agent and service providers. Depending on the written contract, you may pay for all, some, or none of these items. If each procedure returns acceptable results as defined by the contract, then the sale may continue. If there are problems with the home, the terms set forth in the contract will dictate your next step. You or the buyer may decide to walk away, open a new round of negotiations or proceed to closing. “Closing” refers to the day on which ownership of the property is legally transferred to the buyer. Your agent will help guide you through the process and make sure everything goes as planned. Before closing, you should make a “to do” list for turning the property over to the new owners. For example: turn off utilities, cable and other routine services. If the new owner is retaining any of the services, transfer the name on the account.
" Erin is an amazing Realtor. I have bought and sold 3 different properties over the past. 4 years and Erin has handled the transactions. Her … continued	"